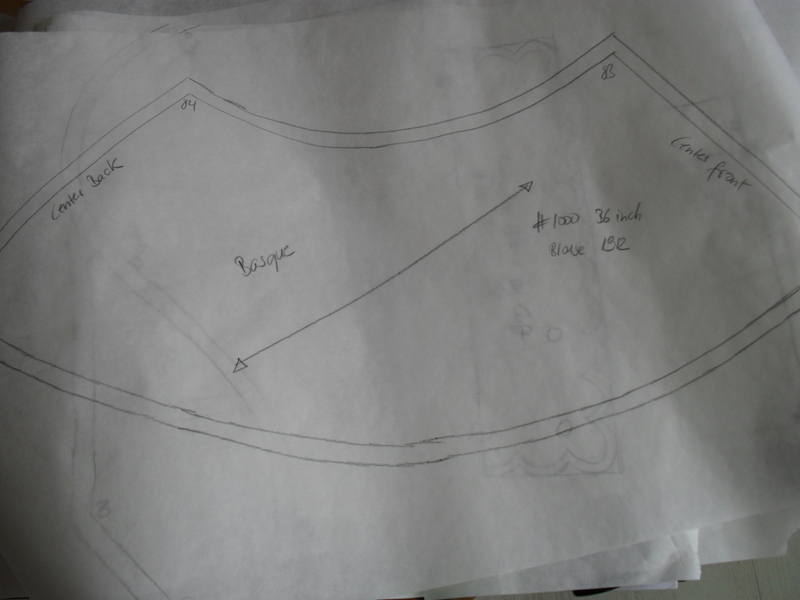 In preparation for more patterns I’m going to release soon-ish, I have updated the looks of my pattern page. 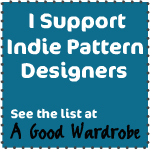 All patterns are currently on sale for $0.99. 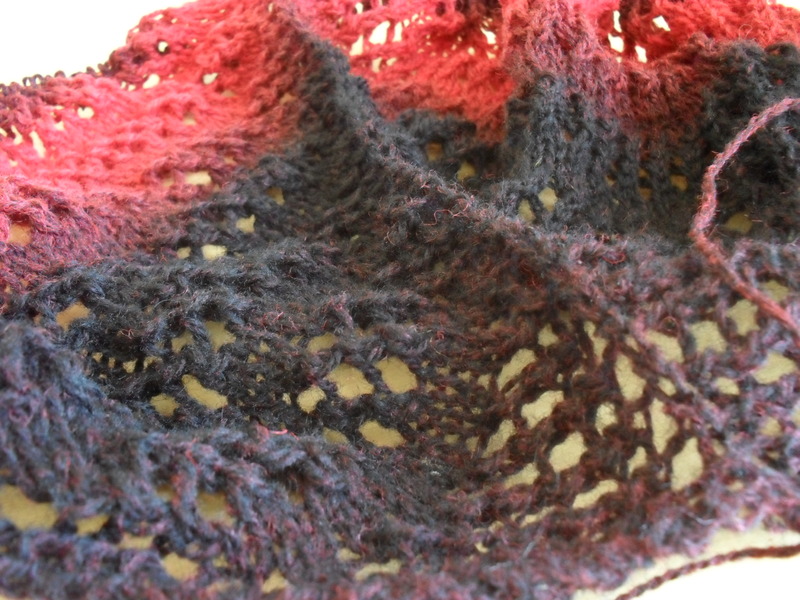 Nicoletta – a bicolour triangle shawlette in shetland lace yarn. 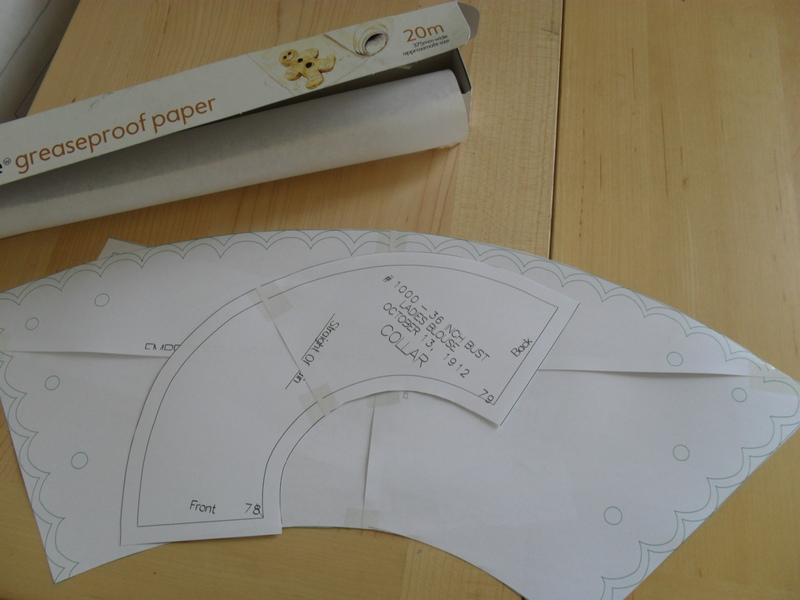 Triangle of Trifles – a great project to us up an odd ball and some left-overs. 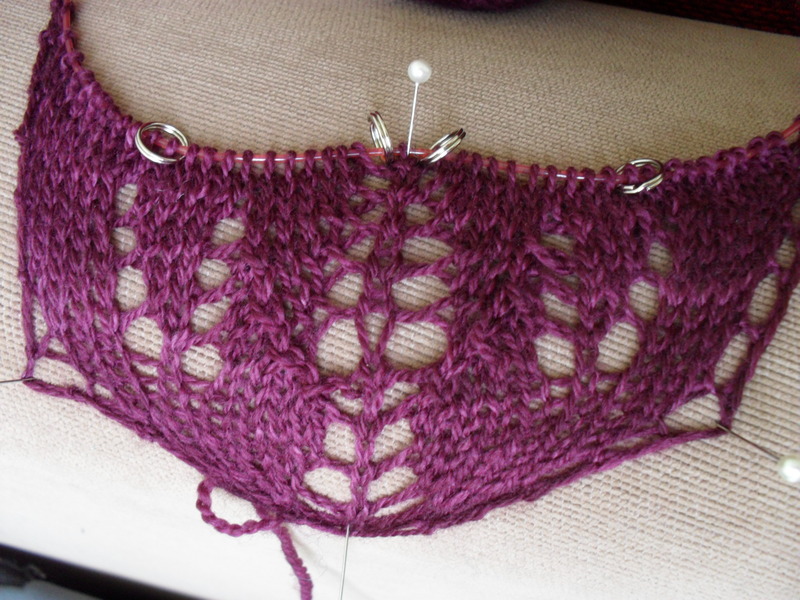 Triangle of Trifles – circular shawl, great for using up odd ends of lace. 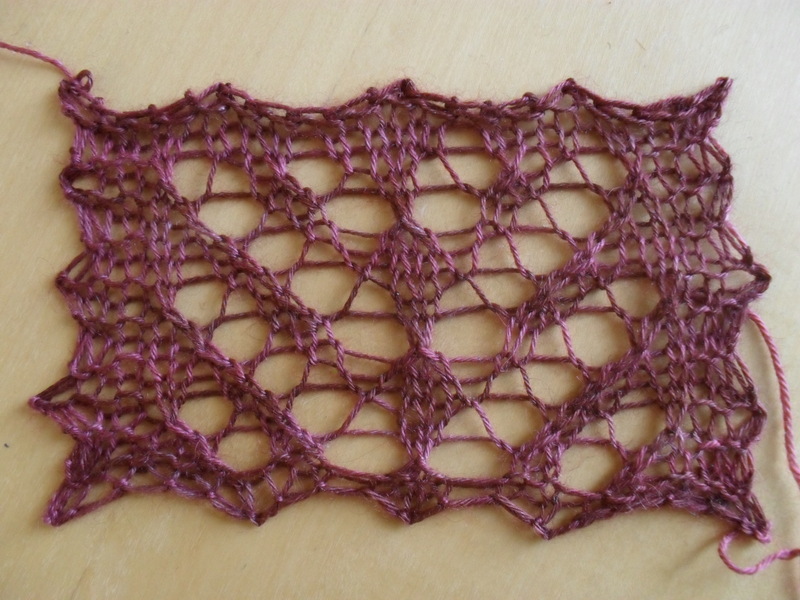 Shetland Old Lace Triangle – A classic shetland pattern in Shetland lace. 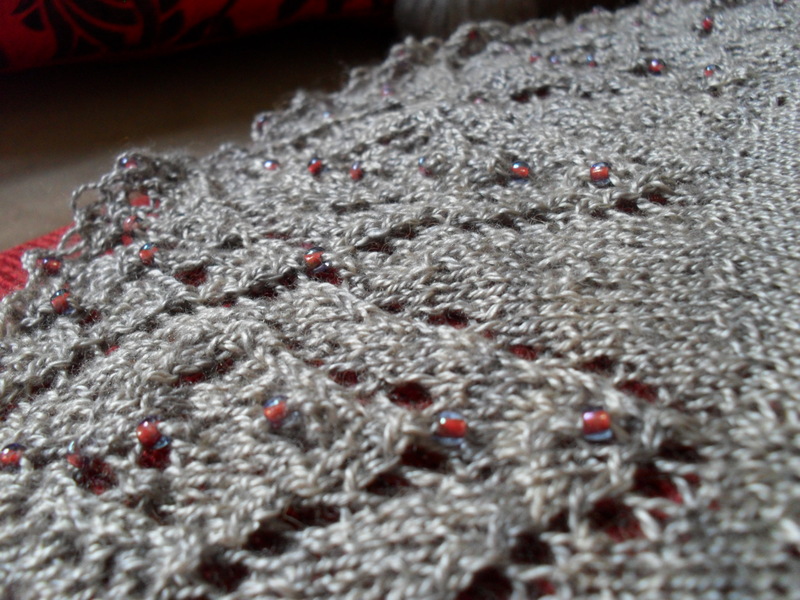 Maybe you remember the shawl I made for mom’s birthday? 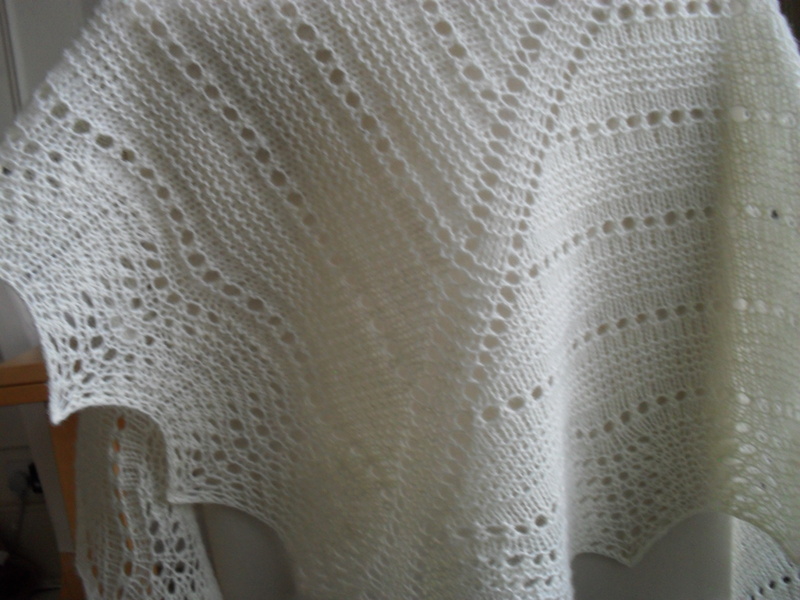 You can find it here, if you want to have a looksee. As it happens, my little sister’s birthday is just a couple of weeks before my mom’s, and even though we usually don’t make a huge deal out of it, it feels wrong to send my mother something and not my sister. 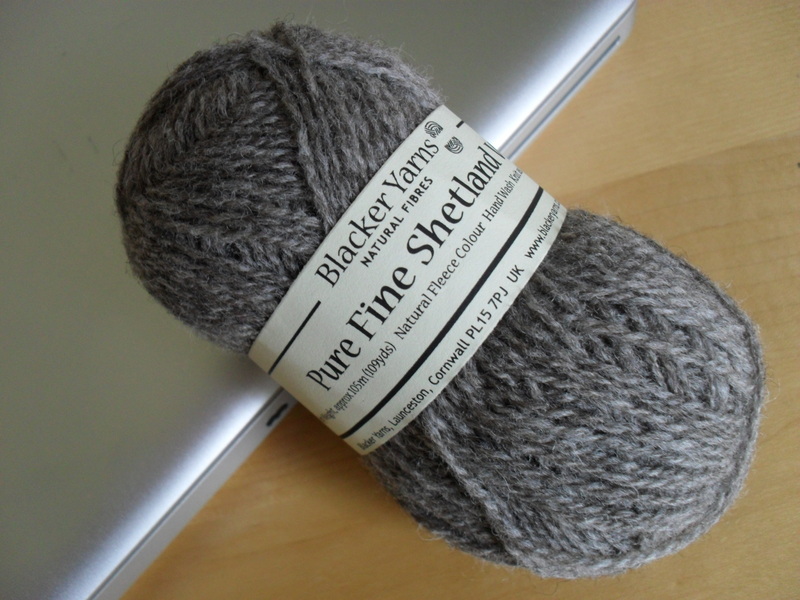 I used my now favorite yarn again, Blacker’s Pure Fine Shetland, and decided on a dark gray as base with some natural/off-white stripes. 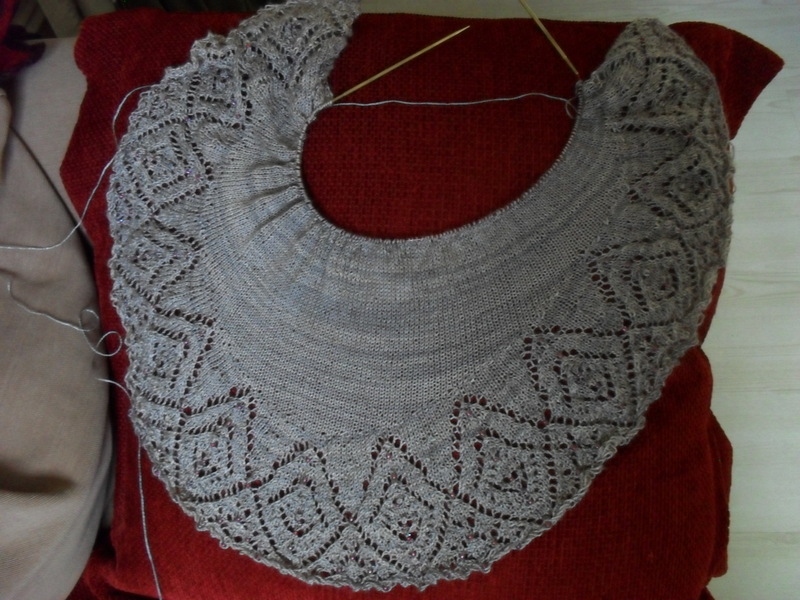 The latter is driving me slowly insane at the moment, as the edge rows are now (guestimated, I can’t be arsed to actually count the stitches … ) well beyond 600 stitches. 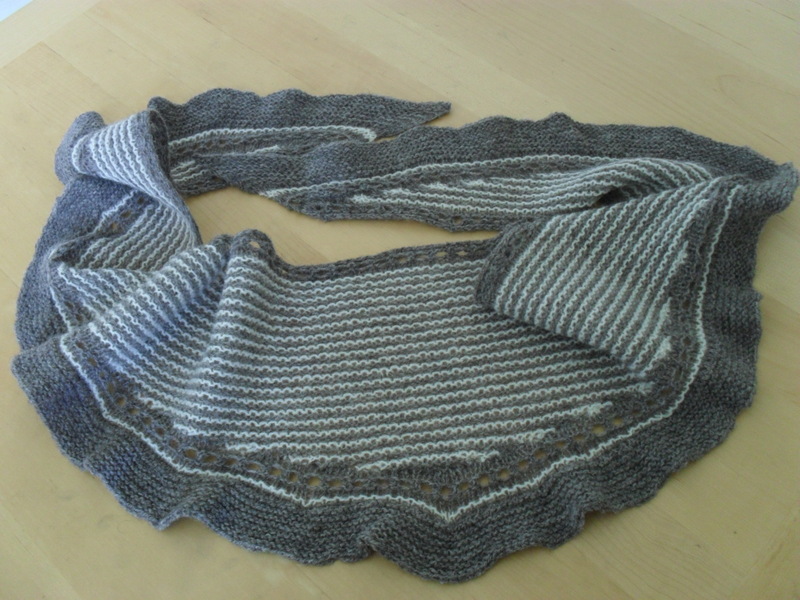 Stay tuned, as I intend to publish this pattern at some point, too. 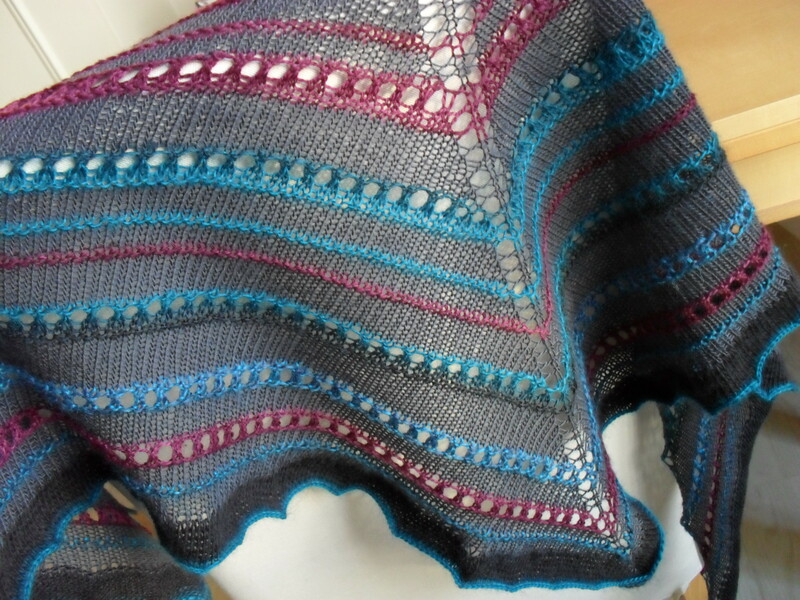 This project I started in early September, as a welcome opportunity to use up some Rowan Classic Fine Merino yarn that had been gathering dust in my stash for more than a year. 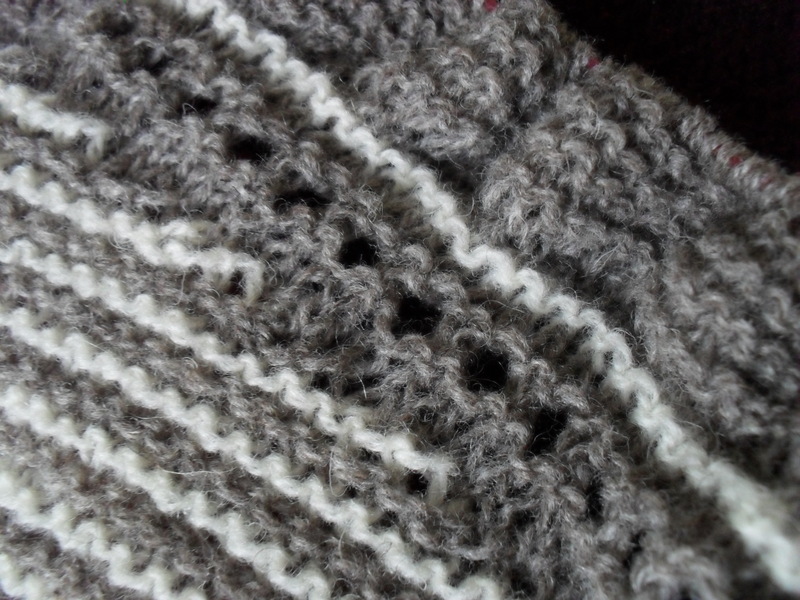 It’s a top down, all-in-one pattern, which is something I meant to try for the longest time. 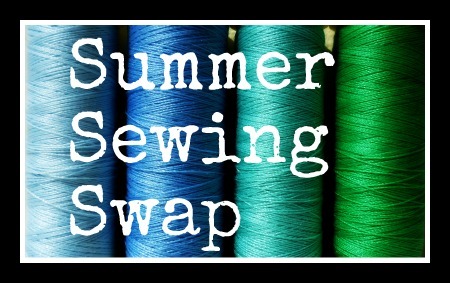 Did I mention that I’m not a huge fan of sewing things together by hand? 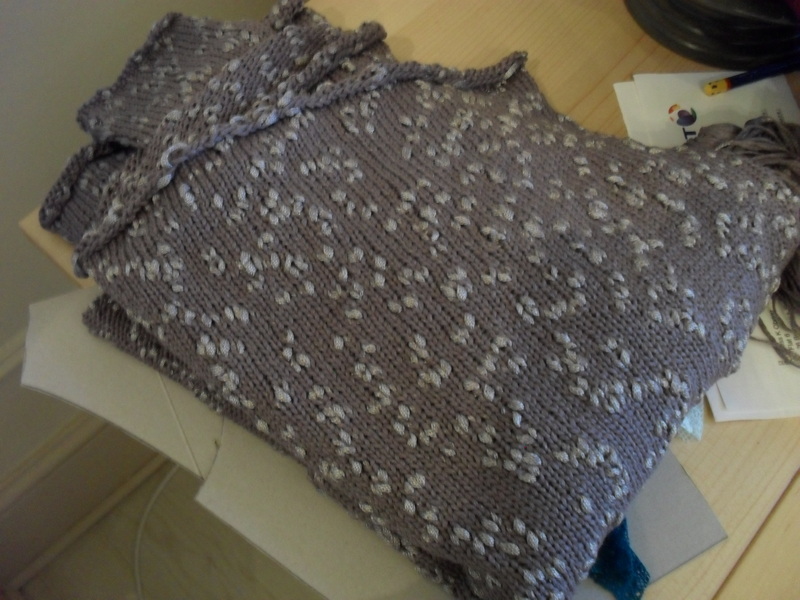 Well, meet the unremarkable sweater – it’s been sitting on my table, patiently waiting to be joined together for about 6 weeks now. Seriously. 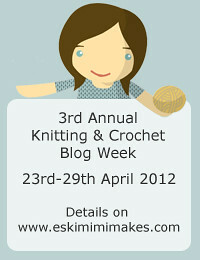 That’s how much I love joining. Not. 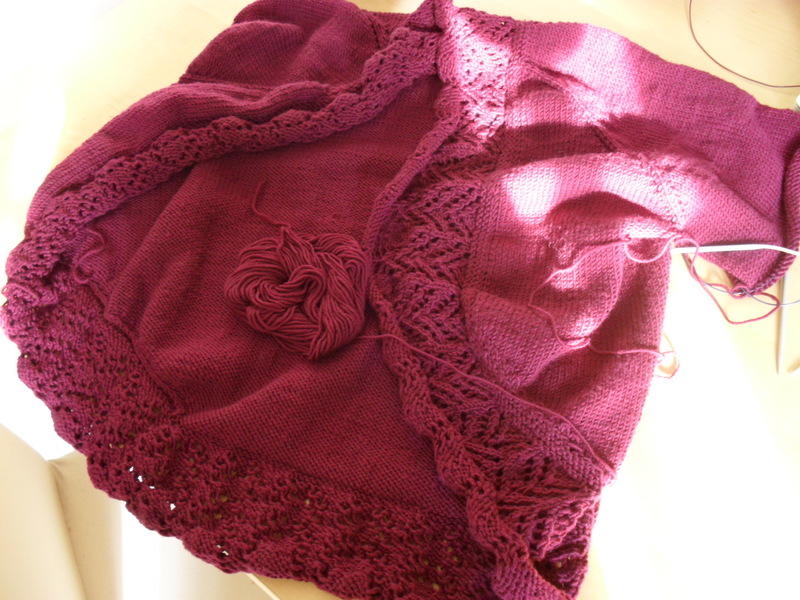 However, the cardi is coming along nicely, I’m working on the arms now and should be finished within the next week or so. As usual, work may interfere … as our project is soon to be launched, and things usually get a wee bit crazy around launch dates.